After meeting Trust officers in October and following objections raised by Trust members, Northampton Borough Council appears to have started to modify its approach to the Northampton battlefield, though it is too early to tell whether this will see plans cancelled to have sports pitches constructed on the battlefield. The Council has indicated its commitment to an archaeological survey of the battlefield and the development of a conservation management plan. 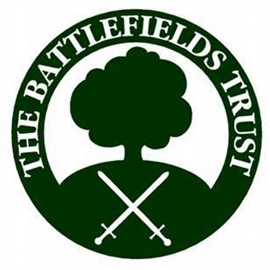 A tender for the latter was issued in December and Land Use Company won the bid with Glenn Foard and Tracey Partida, who have done a lot of work with the Trust in the past, acting as battlefield archaeology consultants on the project. It seems unlikely that archaeological work will be commissioned before the completion of the conservation management plan. The Council is due to announce the results of its public consultation on the disposal of land to allow the sports pitches to be constructed in early 2013, though the proposal seems to have been largely opposed. Separately some may have read about plans to expand the Delapre Golf Centre car park which sits on the registered battlefield. This application has now been withdrawn following opposition from the Trust and other heritage stakeholders. Finally in mid-January the Council agreed its Central Area Action Plan for future development in and around Northampton. The plan proposes the building of a restaurant/pub on part of the battlefield which has been quarried out and has been used for motor cycle scrambling. English Heritage was involved in discussions about the plan and appears to be satisfied with the outcome. The Trust has separately secured council agreement that any planning permissions granted to areas north of the battlefield will have conditions attached requiring archaeological work in advance of development.